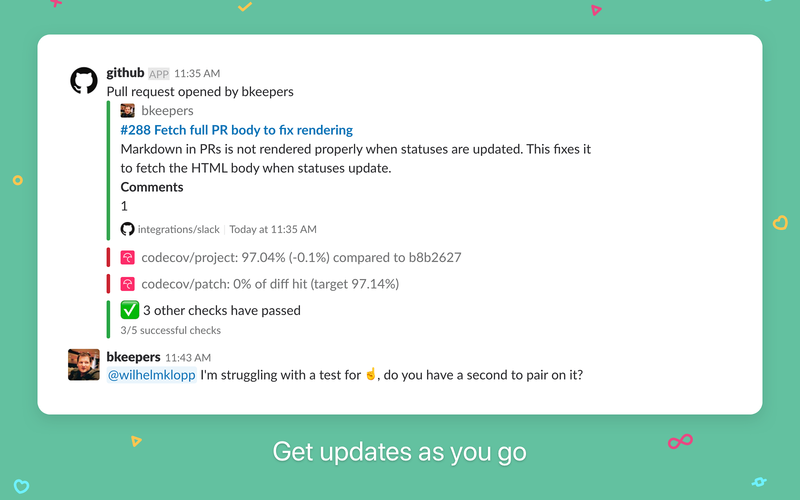 • Open a new issue using a Slack dialogUsing an older version of GitHub and Slack? 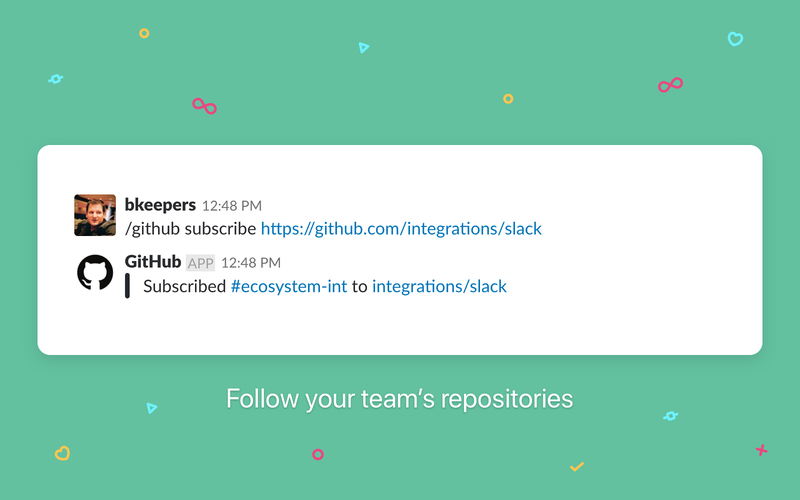 Installing the new integration will allow you to migrate subscriptions from legacy versions. 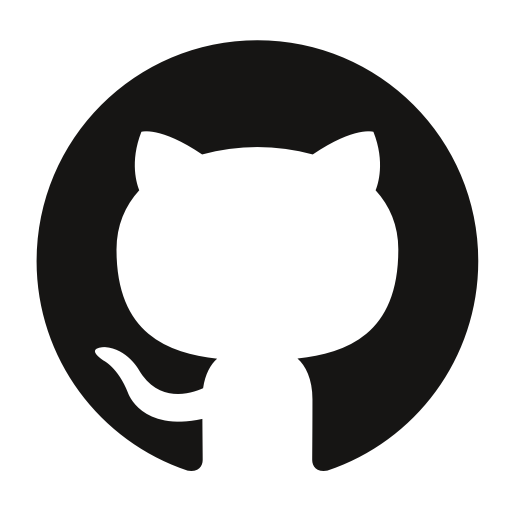 GitHub Enterprise and Slack Enterprise Grid are not yet supported.By installing or using the App, you agree to the Terms and Conditions. 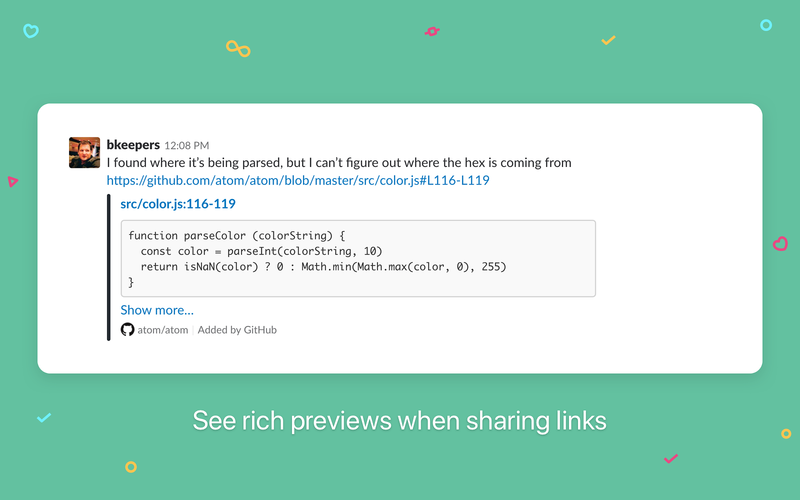 View links from github.com in messages. 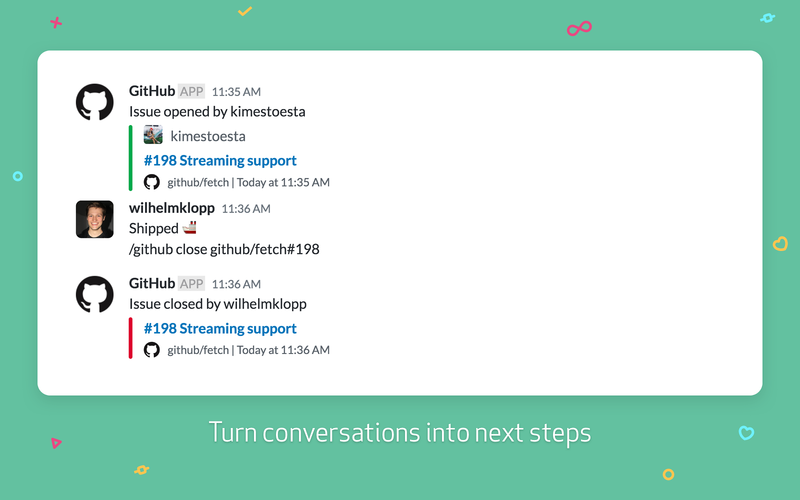 Direct message members who use GitHub, and view messages, activity, and files in that DM.